1. Mandate the use of technologies or specific programs. One of the fastest ways to kill an educator's enthusiasm for infusing technology is mandate a specific technology or specific program. We all have specific needs, tastes and desires, and a program that satisfies mine will not necessarily satisfy the next educators. For example, I like Evernote. I preach the use of Evernote. But, some educators despise it. It does not match their needs.It does not do the things they want to do with technology. Mandating the use of Evernote is counterproductive. The same goes for iPads, digital cameras, interactive boards, and any number of tech devices and software. Some teachers can use these technological devices because they fit their teaching style, their subject matter, and their students' needs. Others would rather get students using devices themselves. Mandating specific devices, technologies, and software will kill an educator's enthusiasm quickly. 2. Use inadequate, faulty or overzealous web filtering systems that block sites teachers want to use. This one is a teacher enthusiasm-killer of major proportions. While school districts are obligated under CIPA and common sense to provide some level of protection for young students, a filtering system is inadequate or faulty when it dictates what teachers can and can't do with the technology. For example, I am an advocate for blogging, and as a former English teacher, the potential of blogging for providing authentic writing experiences for our students is enormous. But then comes the web filters, that dictate that blogs are off limits because the manufacturer of that filter sees blogs as a greater threat to kids' safety than its potential to get students to engage in authentic writing. A web filtering system that dictates what teaching resources teachers can use is a quick way to stifle a teacher's enthusiasm and to force them back to using textbooks and other 20th century materials. 3. Provide inadequate or sloppy tech support systems. While teachers should always have plan B, even without technologically enhanced lessons, they should not have to have a plan b, a plan c, and even a plan d. If a school district has such shoddy tech support systems that using technology is like running an obstacle course, then expect your teachers to lose enthusiasm for using technology. Having technicians available is only one aspect of support. Too often administrators like to brag about the number of iPads or laptops they've added, but they failed to hire the support needed to keep those things operating. When adding technologies it is vital that school leaders factor in additional support systems and their costs as well. 4. Provide inadequate funding. There is a great deal of frustration when a classroom teacher wants to implement a project using a technology resource, only to be told there's no funding for that. It's not frustrating because of the lack of funding itself, it's frustrating because there's evidence all around of funded projects that were a waste, and that same money could have been used to pay for technology a teacher wanted. Sometimes I have to wonder whether some administrators get a trip to the Bahamas out of the purchases they made because they obviously could not have made the technology purchases with a teacher in mind. 5. Fail to provide adequate hardware and/or software. I've seen so many examples of this over the years. 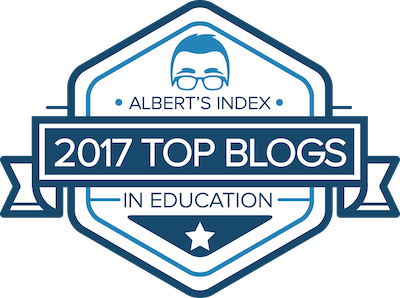 Teachers are encouraged to get students writing and engaging in online blogging, but they don't have access to computers. Another example is even more ludicrous; students being asked to create 21st century projects yet they aren't given anything but 20th century tools such a colored pencils and construction paper. It is the school leader's responsibility to ensure teachers have adequate hardware and software for implementing technology. 6. Purchase hardware or software after a sales pitch rather considering staff needs. Sometimes while attending a leadership conference or in a leadership meeting a school leader will see a demonstration of a new product like a smartboard or class response device. He becomes so impressed by the device that he forgets he's seeing a "sales presentation" and agrees to purchase 15 of them. Next thing anyone knows, these things are being installed in classrooms and no one has any idea about how they are going to be used. The devices become expensive dust collectors. Administrators should always bring in the end users when making these purchase considerations. School leaders would do well to remember that sales pitches don't always translate into effective classroom implementation when it comes to technology sales presentations too! 7. Fail to be enthusiastic about technology use themselves. This is self-explanatory in many ways. There are many a school leaders who communicate a total lack of enthusiasm or even disdain for technology by their reaction to it. They don't talk about it. They ignore it. They even change the subject when a teacher excitedly describes a technology-infused lesson that went well. Twenty-first century education is exciting. I find it very difficult to understand the school leader who is not excited about technology's potential, but there some school leaders out there who kill teacher enthusiasm by just their reactions. 8. Refuse to use technology yourself. This is related to number 7, but involves a total rejection by the school leader to use technology. You can't be a 21st century leader by refusing to be a tech consumer yourself. Your refusal to engage in its use demonstrates what you really feel about technology. School leaders shouldn't complain that their teachers fail to use technology innovatively when they keep sending out paper memos. 9. Fail to provide training and additional resources needed for tech implementation. Training with an expert user is always a plus, even when using someone on staff as that expert. Even more important is providing time for the teacher to explore, experiment, and "play" with the technology. As far as resources, school leaders need to make sure teachers have all they need to implement new technologies: everything from powerbars to tables. Nothing can be more frustrating than having your greatest tech plans foiled by a lack of power outlets. 10. Use test scores as the only measure of successful technology implementation. This is a real killer of anyone's enthusiasm for technology. Everything we do and do well cannot be connected to a "higher test score." Test scores provide valuable information but they are not the only measure of effectiveness. School leaders who always want to know, "Will it increase test scores" aren't really interested in successful technology infusion and tech implementation anyway. Their focus is pretty obvious. There are, of course, many other ways for school leaders to "Kill the Passions any Teacher Has for Technology" but this has to be some of the most common I have encountered. I try to use this list as reminder daily in my own efforts to support teachers use of technology. I somewhat disagree with 1. Somewhat because you are talking about the person who is enthusiastic about technology. I am not saying that you "mandate" any technology, but I do think that some technologies should be focused on a school to put adequate training and resources into them. I have asked many staffs that I have worked with if they would prefer I just let them choose "whatever" or if I picked 2 technologies as a focus that we work on, they mostly pick the latter choice. I think it is because many that are excited about technology, aren't necessarily great with it, and want to get better. There are so many things out there that the amount of choice can be overwhelming and paralyzing. I think that it is essential that as a school we focus on a small number of technologies that will improve learning for all why also allowing the innovators to be innovative. They should use those few technologies to be able to help and lead others, but they should also be able to go on and try different things as well. Sometimes the idea of "mandating" helps push some people forward when they have no idea where to start. Don't limit but do have focus. It makes a great deal of sense. I suppose I write from the perspective of being a principal of an entire staff that I would classify as avid technology users. It seems as a school leader, I spend more time trying to remove barriers to their implementation ideas, than just about anything else when it comes to technology. Your idea of focusing on a few technologies makes sense, and we have done that at our school with online tools like Edmodo and Engrade. Two of my teachers began tinkering with the technology, then the next year, my entire staff chose to implement schoolwide. I suppose for me I've seen too many mandated tech initiatives in my state and in the districts where I've worked fail. I am skeptical of the success of dictating technology. For example, our state mandated a new student data system over ten years ago. If their goal was to get every teacher using it, then the state was successful simply because there was no choice, and all teachers use it, though most hate it. But the program has never been entirely utilized to its potential because it has become universally despised. There are so many features of the program that have never been used, because, quite literally, the software has become a pariah and a joke. I've seen this happen with other technologies too. Mandates can kill enthusiasm, but I certainly understand the need to do so. Your comment makes perfect sense. However, I do think school leaders need to be very careful about any technologies they mandate though. Mandating can destroy the enthusiasm of those few enthusiastic users too. If we don't accommodate their enthusiasm we risk dampening their excitement for tech. And, while you are at it, offer training to subs on the use of technology, too. You wouldn't believe how many different set-ups there are and how inadequate the instructions for their use can be. If teachers have a plan B, they should also have an easily accessible place for the sub to find instructions for it. I would agree. Assuming that a substitute knows how to effectively use tech is a mistake many make. Though another plan to help with this is to connect the sub to one of the students who is tech savvy and have that student assist in getting the class moving. Thanks for the additional idea. With #3 in mind, I have run across a question from many administrators wanting to take their school to a 1:1 initiative. The question revolves around tech. support and in situations such as "Bring Your Own Device" (BYOD), what ethical issues are cross if a device has to be fixed and the parent of a student cannot be present when the device is being fixed. This automatically gives access to personal information to the one with control of the device. Even a bigger issue, that is not so much legal, remains. If a homework assignment is to be completed on a school-bought device and the student is at home and working at 9pm, should tech. support still be available? Is an online help desk good enough? 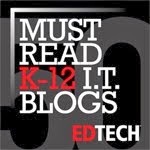 In this era of more and more 1:1 initiatives, I come across more questions about tech. support and ethics than anything else. (Well, maybe equity is thrown in there too). Just wondering if you have come across any experience with this? For us it is really simple. Our policy clearly states that neither our school nor district supports personal devices. In fact, there's some state regulations that guide whether state personnel can work on personal devices anyway. The use of the WiFi ia "as is." We make clear that neither the school nor district is responsible for anything that might happen to these devices while accessing our WiFi. The district simply does not provide tech support for personal devices and we let students, parents and staff know that up front. As far as school-provided devices, you do have a separate set of issues. A neighboring district has successfully implemented a 1:1 program. I can't speak for the level of support they provide in the evening, but I hardly think they could afford to have evening tech support for even those devices. If it is school-issued laptops, there are options such as installing remote desktop access software and tools too. Bottom line, you can make clear that your school or district does not provide tech support for personal devices. That's no different than students going to the local Barnes and Noble Bookstore or Starbucks. Those businesses allow the use of their WiFi "as is" too. Truth is, I have not encountered students running into too many problems at home with these devices any way, but it may simply be they are getting others to handle the issues since we don't. I hope that helps. Email me if you would like a copy of our policy. The email address is above. Don't forget technology coordinators who continue to use outdated systems because of the time and money spent on them in the past, rather than whether they are currently still relevant. Trying to teach 21st century students with 20th century technology models is incredibly frustrating. I would add a 3.b. Inadequate release time. All the funding and access in the world won't make much difference without time to use the technology, observe others using it, build a community of practice. 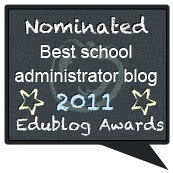 An administrator needn't add to the budget for this--s/he could simply do a few tasks (e.g. paperwork, records reviews, etc. )from a teacher's desk in the teacher's classroom. The teacher could prepare appropriate learning tasks for the class while the administrator supervises them. This would free the teacher to take a professional development training session, watch training clips, read, experiment, learn--maybe observe a colleague's use of technology, confer with a colleague, etc. This is a very visible and concrete way that an administrator can show his/her support of technology use in a school. A while ago I gave a conference presentation on implementing new technology in education with the title Now That They Don't Teach, When Will They Ever Learn [ http://q2news.blogspot.co.uk/2010/03/when-will-they-ever-learn.html ] and suggested enthusiastic staff 'Adopt An Executive' or 'Support A Senior' to try and ensure that leaders could be seen to be utilising at least some modern techniques in their own communications and activities. That, itself, built on an article I had written entitled "Until Heads, Principals get it, use it, live it or retire much frustration continues". The point about insistence on using particular brands or products is a good one too and I suspect that now that there are many excellent web tools available free on-line and not requiring download, students and teachers will be more likely to have access to a broader range and to use whichever suits them. 'Safeguarding' is a big thing here in the UK and tutors are finding that they have to erase almost any reference to personal contact information on any web material they wish to use. The regulations themselves focus on under 18s and vulnerable students but have been much more broadly interpreted to support a range of policies requiring limitation of resources utilised in the Further Education sector I work in. At the heart of most IT managers' strategies is protection against being sued at some point by a parent and rather than trust tutors to control use of applications in class they prefer the 'lock-down' and 'compliance' regimes which are simpler to manage. There has also, for a long time, being a belief that a 'standard' look and feel across the curriculum - from lesson plans to how assignments were presented - would gain better OFSTED grades on Inspection. Indeed, many OFSTED reports highlight this as being favourable and this further deters innovation and the essential individual experiment with new techniques for providing resources. I recall spending far longer making my assignments look 'right' on the web pages I wanted to use for their display in place of printed A4 sheets than I did writing the things! VLEs are now everywhere but most contain just lists and lists of Word or PowerPoint files!! IT managers also have a fear of allowing access to a network for equipment they do not control, citing such things as students having programmes on their devices which may then be accessible by others for which the institution has no licence or risk of virus etc. With severe cutbacks in the staffing of IT support departments, the extra work for the remaining few in opening networks and dealing with queries for unfamiliar applications or kit does tend to mitigate against a rapid development in the direction we'd like. Change for the better requires informed leadership. That may be some time coming but articles such as yours are welcome and can only help others to recognise why all this new technology hasn't actually had as significant and measurable impact in many institutions yet as might have been hoped. I somewhat disagree on #1, but only for the sake of information management (a non-teaching tool). I, too, have witnessed a terribly designed student information system. Actually, I've heard student information systems all around are usually awful. It's as if the programmers design it for themselves rather than for teachers and non-techies. However, there has to be a centralized area for student information. This only makes it easier to process information later if everyone is on the same system. Of course, the platform should be well designed, too, which it usually isn't, unfortunately. I perhaps should have made myself a bit clearer. The mandates I was referring to were those times when a district administrator sees a sales pitch, then purchases the software. Then the use of the software is mandated district wide. This actually happened in one district where I worked, thought the mandate was weak. Thanks for commenting.